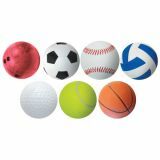 Choose Globe Accents from our exclusive selection of Classroom Accents, and use as a dynamic classroom decoration or as an innovative teaching aid. 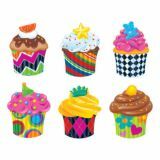 Made from high quality cardstock with a glossy finish, these accents measure 6 inches and come 30 to a pack. 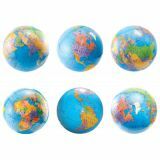 For a super-coordinated classroom, check out our entire line of Globe Themed Products. 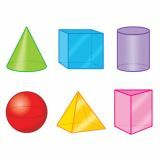 Beautiful, educational, and so practical, these accents will make your classroom a fun and attractive place to be! 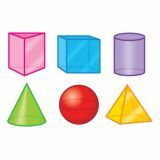 Die Cut Accents are a colorful complement to any classroom and coordinate with some of our most popular borders. 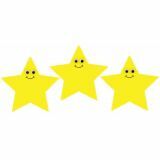 Choose smiley face accents from our selection of Classroom Accents, made of card stock paper, and use as a classroom decoration to put a smile on everyone's face, as well as an innovative teaching aid. 30 pieces per pack. 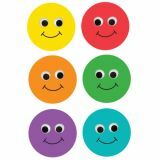 6" Smiley Faces. 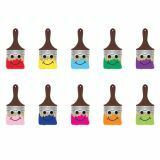 Choose Happy Paintbrush Accents from our selection of Classroom Accents, made of card stock paper, and use as a classroom decoration to put a smile on everyone's face, as well as an innovative teaching aid. 7" Accent. 30 pieces per pack. 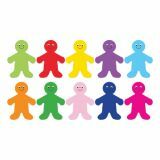 Rainbow People Accents are made of quality card stock paper and and come in 10 striking colors. 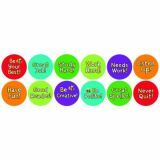 This adorable bulletin board decoration is sure to add a splash of color and cheer to your classroom. 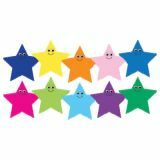 Whether you use it as a welcome bulletin board idea and write each child's name on one accent, or attach to craft sticks and use a as an innovative teaching aid, Rainbow People Accents are attractive and useful. Accents feature modern icons and a serene palette. 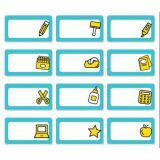 Use in multiple ways from name tags to storage labels. Each accent measures 5.5" x 3". 72 pieces (6 each of 12 designs). Coordinates with the Aqua Oasis line of products.